We are excited to share all aspects of our farm with you as well as recipes and our thoughts on enhancing the local food economy. 2017 is going to be a big year for us! Pasture raised chickens and turkeys and forest raised pigs are all in the line-up this year. Even though it’s winter, things are still very busy on the farm. We have lots of projects to work on before spring, especially with our first order for baby chickens just around the corner! 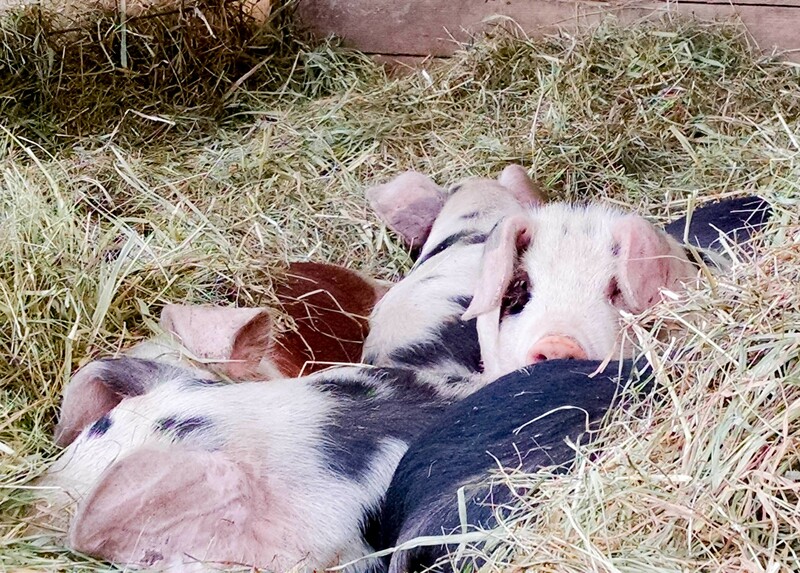 In September of last year, our Gloucestershire Old Spots momma pig had her first batch of piglets. It has been great to watch them grow! Everyone is looking forward to warmer weather so they can spend more time out in the forest. Nothing beats the taste of happy, healthy, forest raised pork! With the recent addition of a young Hereford boar, we're guaranteed an exciting breeding season. 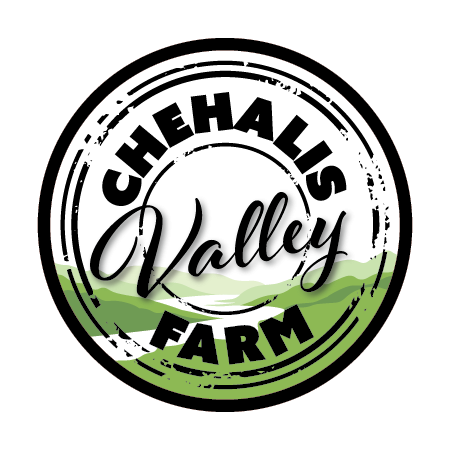 Check out our new website chehalisvalleyfarm.com. It's specifically geared to make purchasing more convenient for you, our customers, with pick up options on farm and at the Olympia Farmers Market. Thanks to all our customers, family and friends that have supported our farm and encouraged us to keep growing. 2017 is bound to be our best year yet!